The Optronics Node Cable Assemblies are ideal to perform an excellent optical link, either in building cable or outside plant cable. 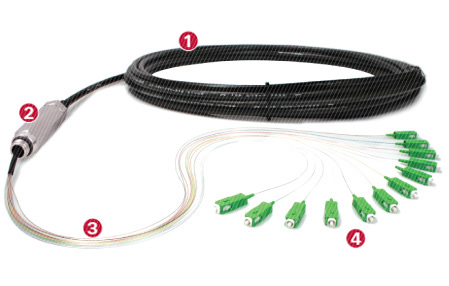 This connection is critical to the installation and perfect for CATV Node Cable applications. The Optronics Node Cable Assembliesare available for different customization: cable type (armored, dielectric, self supported, figure 8), cable lengths, and SC/APC Optronics optical connector. 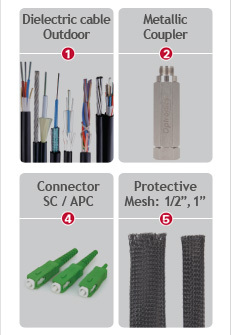 Optronics Node Cable Assembliesensure high performance, quicker installations, and lower total installation cost. Cables are also available with a Nylon Web to protect the cable when pulling during installation.